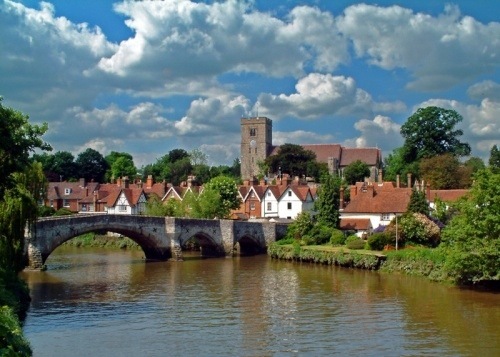 Kent is traditionally known as the Garden of England due to its abundance of orchards and for hop growing. Sadly, because of its proximity to London it is less so nowadays but oast houses are still part of the skyline even though most are now converted into houses. The earliest example of an oast house dates back to 1750 although they were first mentioned when hops were introduced to England in the early 1500s. They were designed for drying hops with a kiln at the bottom from whence the hot air would rise to dry the hops spread out on the upper floors. The strange looking pointed hat on the top of the oast house is actually a cowl which turns with the wind and induces a flow of air. 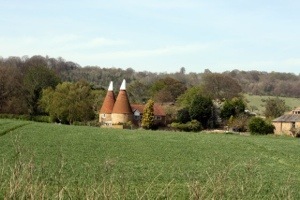 Above is a traditional view of Kent oast houses. Below is another painted by Stephen J Cross. 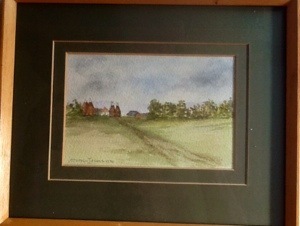 It is called Near Woodchurch, Kent and it is a watercolour dated 1990. 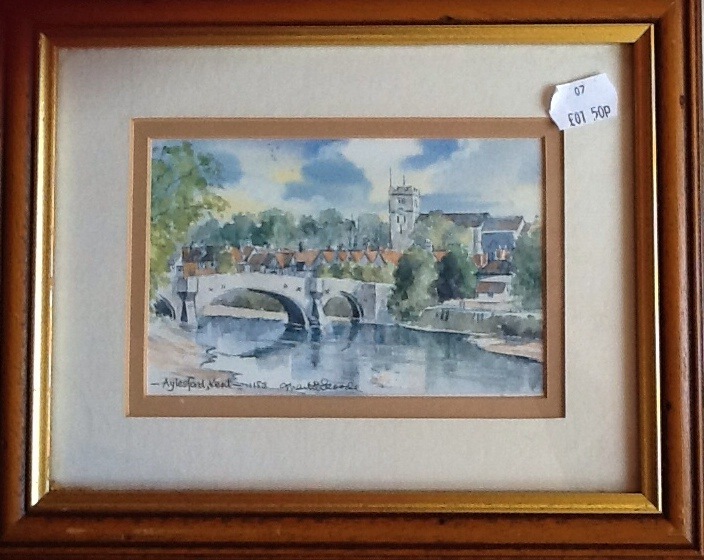 It is a very traditional view and hopefully over 20 years on it still exists as Stephen painted it.